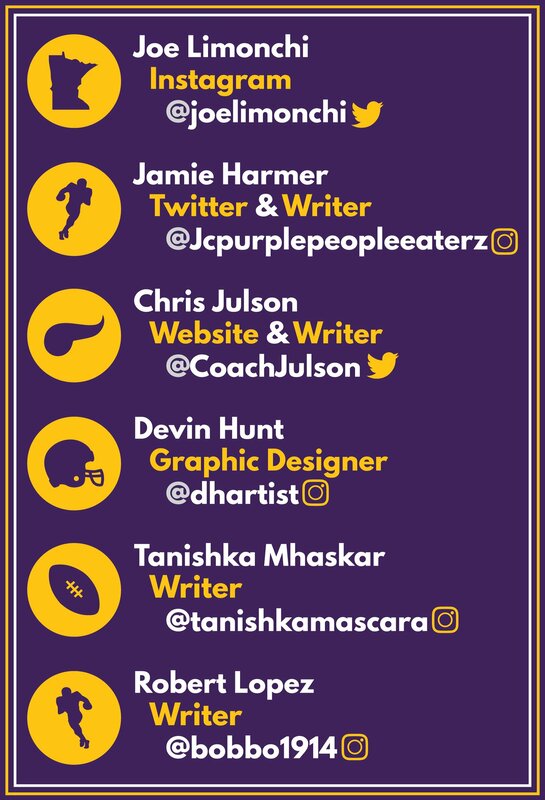 The Minnesota Vikings, in hopes of another Super Bowl run, made a lot of changes to the coaching staff this offseason. The biggest addition to the coaching staff was bringing in ten-year head coach Gary Kubiak. As well as his ten years as head coach, Kubiak has 24 years of coaching experience under his belt. He's spent most of his time in Denver, 11 seasons as the offensive coordinator, two seasons as their head coach, as well as two seasons as a senior personal advisor. Kubiak was the OC when the Broncos won back-to-back Super Bowls in 1997-98, and won Super Bowl 50 in his first year as HC for the Broncos in 2015. He also was apart of the San Francisco 49ers Super Bowl win in 1994 as the quarterbacks coach. Kubiak definitely has the experience as a coach and player to know what a championship team looks like, and as the assistant HC and offensive advisor, he will have plenty of say in the team. He will be working directly with Kevan Stefanski to figure out the offense which leaves Mike Zimmer to solely worry about the defensive side. Who better to bring in then Gary's own son, Klint Kubiak, to help with the offense this season. Kubiak will be working with Kirk Cousins and Kyle Sloter, as of now, as he enters his sixth season in the NFL. After signing Cousins to a massive deal, and maybe not getting as much as we deserved from him, Kubiak is in a familiar spot to work with him. In Denver, Kubiak worked with the quarterbacks from 2016-18. The two Kubiaks had both previously been with the Broncos, and once Gary Kubiak got signed, he brought Klint Kubiak with him. This isn't the first time Klint Kubiak has worked with the Vikings either, he was here in 2013-14 as the quality control/ assistant wide receivers coach. Stefanski stepped into the role of offensive coordinator last season for the final three games of the season after the Vikings parted ways with John Defilippo after just 13 regular season games. Before he became the interim offensive coordinator, Stefanski was in his 13th season with the team and has coached QBs, RBs, and TEs which gives him a lot of experience on the offensive side. The first week for Stefanski was a home game against the Miami Dolphins, an excellent opportunity to gain the fans love. Stefanski did just that, putting up 41 points in the game, with 21 of them coming in the first quarter. Stefanski's time with the team will make this transition easier as he has already worked with majority of the skills players on the team. Stefanski also will have a lot of new coaches to work with and help make this offense dominant this next season. Before last season even started, the Vikings lost their offensive line coach Tony Sparano, who passed away at age 56. This had a big effect on the team going into the season, especially the offensive line. Clancy Barone, TE coach, and Andrew Janocko, assistant OL coach, took over for Sparano that season. Going into this off-season, the Vikings were looking at options to take over the position, and they found their guy with Rick Dennison. Dennison, just like Kubiak, has plenty of coaching experience as he brings in 25 years with 17 of the last 18 being either an offensive line coach or offensive coordinator. He also brings in the experience part, just like Kubiak, having coached in 12 playoff appearances as well as three Super Bowl victories. Dennison is also another coach that has worked with Kubiak in the past, and they are reunited once again on the Vikings. Dennison has had a lot of success in working with offenses, he has coached six different Pro Bowl offensive linemen over his career. He has also had a lot of success in the running game, as the offensive coordinator or offensive line coach, his team averaged 127.4 yards per game on the ground as well as 4.4 yards per carry. With the Vikings having a scary WR duo in Adam Thielen and Stefon Diggs, adding a strong running game would make it easier to open up the field and excel in the play-action, something Stefanski enjoys. Janocko will still hold the position of assistant OL coach this year. Another experienced coach joins the Vikings staff as Brian Pariani brings in 20 years of experience in coaching tight ends. Along with his experience, Pariani also will bring in familiarity to the offense as he has worked alongside Kubiak in Denver for pretty much his whole career. This will make the transition a lot easier for Pariani as he works with Kyle Rudolph and David Morgan to try and get the TEs more involved in the passing game. The final addition on the coaching staff was bringing in Marwan Maalouf to take over as special teams coordinator. Maalouf has had 14 years as an NFL special teams coordinator with four different teams. In his last six seasons, Maalouf was with the Miami Dolphins and he ranked in the top-half each of those years in Rick Gosselin's annual NFL special teams rankings. With all the new additions to the Vikings coaching staff, they kept their defensive coaches the same. We should expect Zimmer to keep his top-ranked defense spot, especially after he was able to re-sign Anthony Barr, and restructure with Everson Griffin, and bring in Shemar Stephen. On the offensive side, the coaching staff looks very different from last year, but with no huge changes with the skill players, we can only expect things to get better. Also, after the draft, Dennison should have his guys on the line, and can start working with them in hopes to protect Cousins better this season. 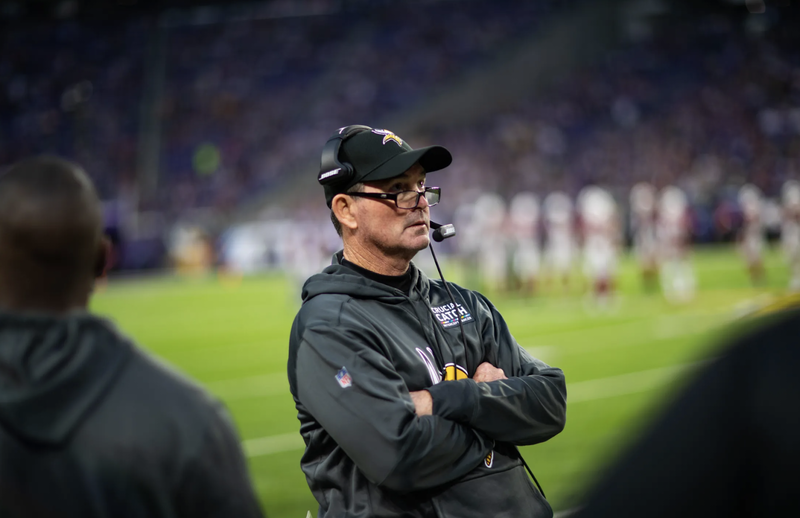 Mike Zimmer also noted earlier this week that they will be trying some different things this year, some out-of-the-box kind of things on defense.